We are proud of the quality and high standard of Ross House. Sleeping 8 Ross House is a modern 4 bedroom property with all the comforts you need when you are on holiday. Great care has been taken to provide a high specification to guests. 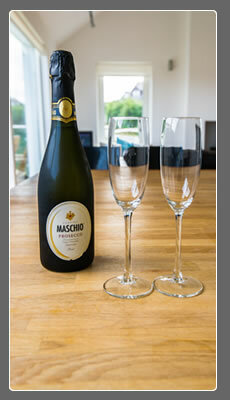 This is a luxury self catering experience. Wester Ross is arguably the most stunning part of Scotland. 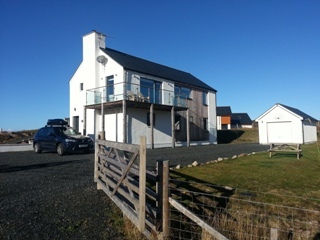 Ross House is situated in the little hamlet of Badachro, a former fishing village sitting, overlooking Dry Island and the island of Horrisdale on the Gairloch. The hamlet of Badachro, meaning cattle fold clump, is idyllically situated on an inlet of Loch Gairloch in Wester Ross. Sheltered by several islands the bay provides a safe anchorage for fishing boats and yachts. In the centre is Eilean Tioram, meaning Dry Island, which is connected to the mainland by a causeway and to the right of it is the smaller island of Sgeir Ghlas, grey rock. Behind is the largest island, Eilean Horrisdale. The name comes from Thor, the Norse God of thunder, and is a reminder that the Vikings once held sway along this Wester Ross coast. At the end of the nineteenth century Badachro was a busy fishing centre in Wester Ross. Fish, in particular cod, landed here and at Gairloch, was dried at Badachro. There were two curing stations - one on Eilean Horrisdale and one on Eilean Tioram. Lobsters, crabs and prawns are still landed here and sent to the markets both in the south and in Europe. Wester Ross itself stretches from Lochcarron in the south to Achiltibuie in the north and is a wild mountainous county with many picturesque coastal villages with restaurants serving delicious local produce and fresh seafood. Wester Ross has many great places to visit including Applecross, Torridon, Poolewe, Ullapool and Gairloch itself. Badachro is an ideal base from which to tour the Highlands and to explore Britain’s most rugged and spectacular scenery. Activities are plentiful around Wester Ross whether it be sea or coarse fishing, bird watching, munro bagging, hill walking, golf, boat trips or exploring the white sandy beaches of Red Point, Opinan, Gairloch and Mellon Udrigle to name but a few. Or perhaps you just want to sit in the Badachro Inn watching the world and yachts go by with a nice glass of vino or a pint of Scottish ale! Check out our facebook page by clicking on the link below! April and Easter offers. 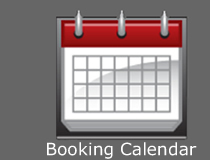 See Bookings. £135 per night (min 3 nights) from October until March. Please call otherwise to check availability.